Junk Journals, Mixed Media, Greeting Cards, and More! Announcement Welcome to Nessie Craft! 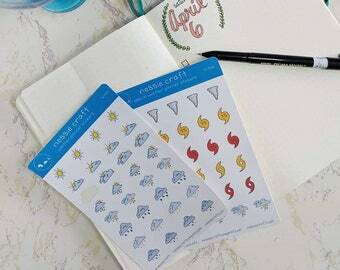 Coming in June 2019, you can expect a new look for the shop, as well as new items, including planner stickers, junk journal supplies, junk journals, and more! I hope that you'll favorite the shop and come back often! If you are looking for something specific and don't see it here, please don't hesitate to get in touch! I also do custom orders! I hope you come back to see what else I have to offer! Welcome to Nessie Craft! 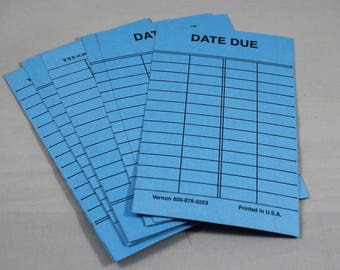 Coming in June 2019, you can expect a new look for the shop, as well as new items, including planner stickers, junk journal supplies, junk journals, and more! I hope that you'll favorite the shop and come back often! Great customer service! Thanks for all the wonderful updates and follow up. Hopefully you are here because you too love papercrafts, cards, mail, and journals. (Doesn’t have to be in that order!) I have always done art. I have a degree in graphic design, I taught graphics, and generally love art. Its my therapy and my happy place. I also love to write! I’m a published author and currently a high school librarian. Journals have always been my place where these two things meet. Where I can combine art and text into something I love. Nessie Craft came about slowly. I’d picked out the name and been thinking about whether I wanted to start this blog and online store for over a year I made things for friends, family, and coworkers. I wasn’t sure anyone would love my creations as much as my family, friends, and myself. And then my husband and I went through some personal tragedies, and I needed something to focus on in the evenings and weekends. Art has always been my way of coping, and this time I really, really needed that creativity to help keep busy and work my way through things. Nessie Craft became my focus. The focus has become a passion for creating junk journals and cards, as well as other papercrafted items. Junk journals are beautiful pieces with their own stories and personalities. My greeting cards stem from my love of snail mail (both sending and recieving) and the love of puns I share with my husband. That's why you'll find so many punny sayings - I admit that many of the sentiments are from his brain, I just supply the art! I hope you will take a look around and enjoy what you find here. There are a million shops you could be browsing on Etsy, and I’m thrilled you decided to stop and take a rest here. Enjoy your stay, and come back soon! I've been a high school tech ed teacher, a high school librarian, I'm a published author, had art in online galleries and in an ATC exhibit in Ohio, I drink far too much tea, and I can wiggle my ears.